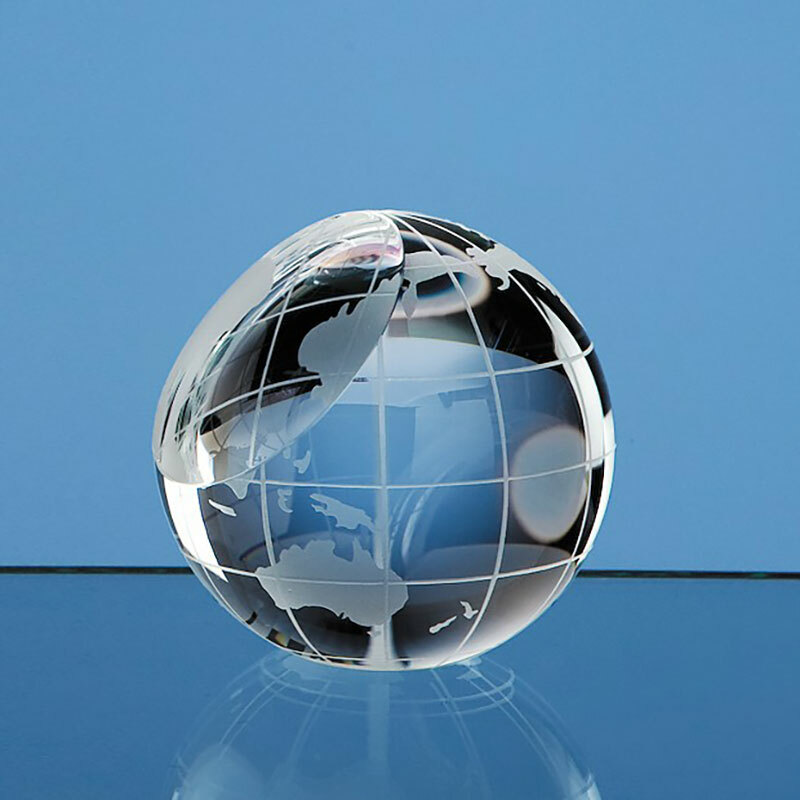 Optical crystal globe paperweights featuring detailed clear globe with a flat panel for engraving. 60mm in diameter, ideal for creating awards or logo engraved corporate gifts. These quality paperweights are hand-crafted in flawless optical crystal and feature a flat panel towards the top of the dome that allows them to be engraved. They are 60mm in diameter and are ideal as recognition or achievement awards, or as logo engraved corporate gifts. Adding a corporate or brand logo to these attractive paperweights can help ensure that your name is kept in front of key prospects as they work at their desks. Each paperweight is supplied in an attractive black foam-lined presentation box.